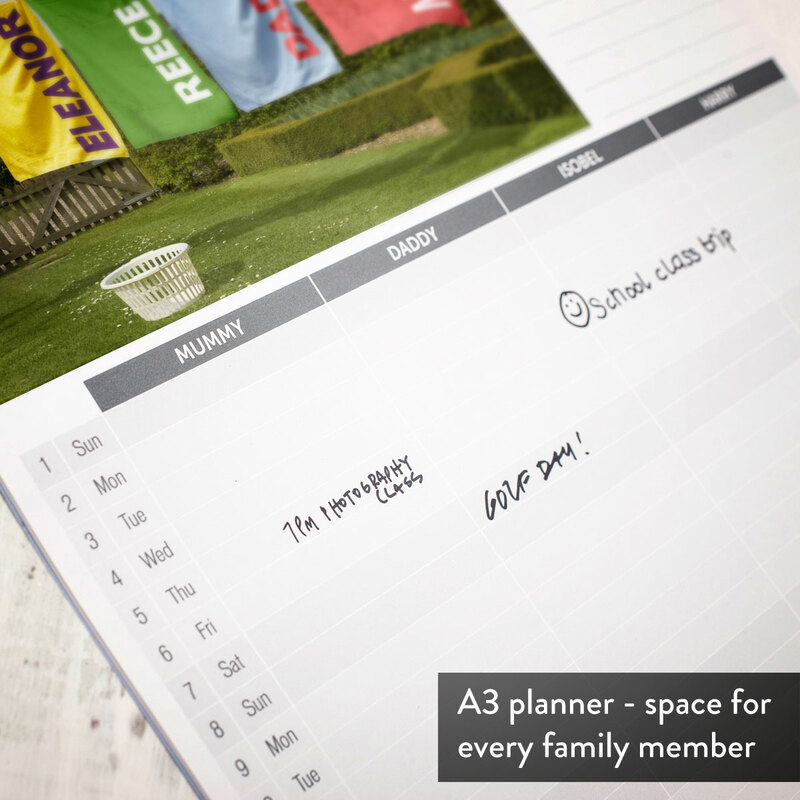 Just add your names and away you go! 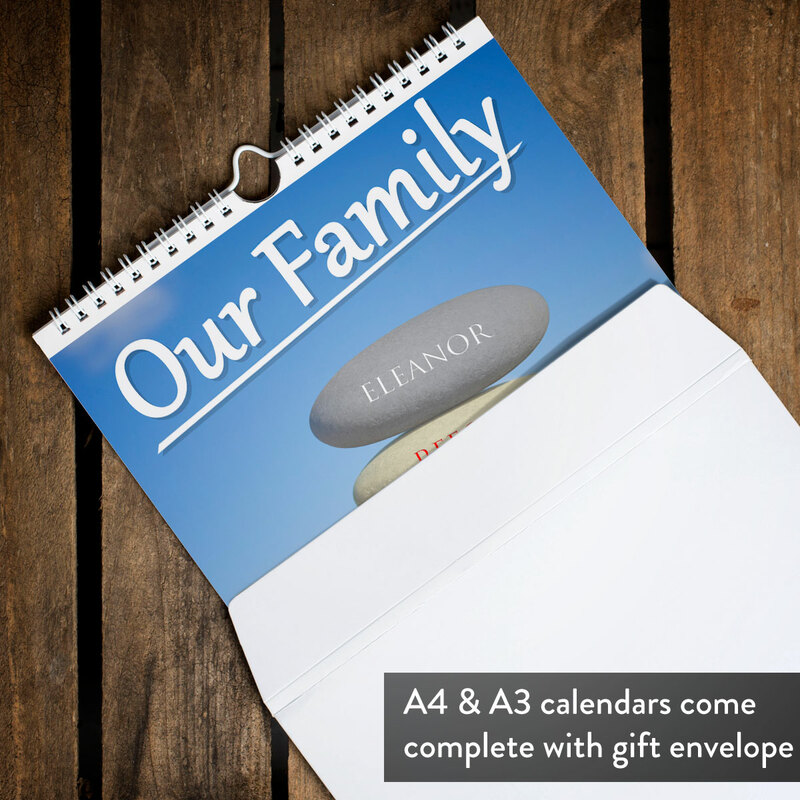 All you need is the name and number of family members and we’ll create a unique personalised calendar featuring 13 stunning images. 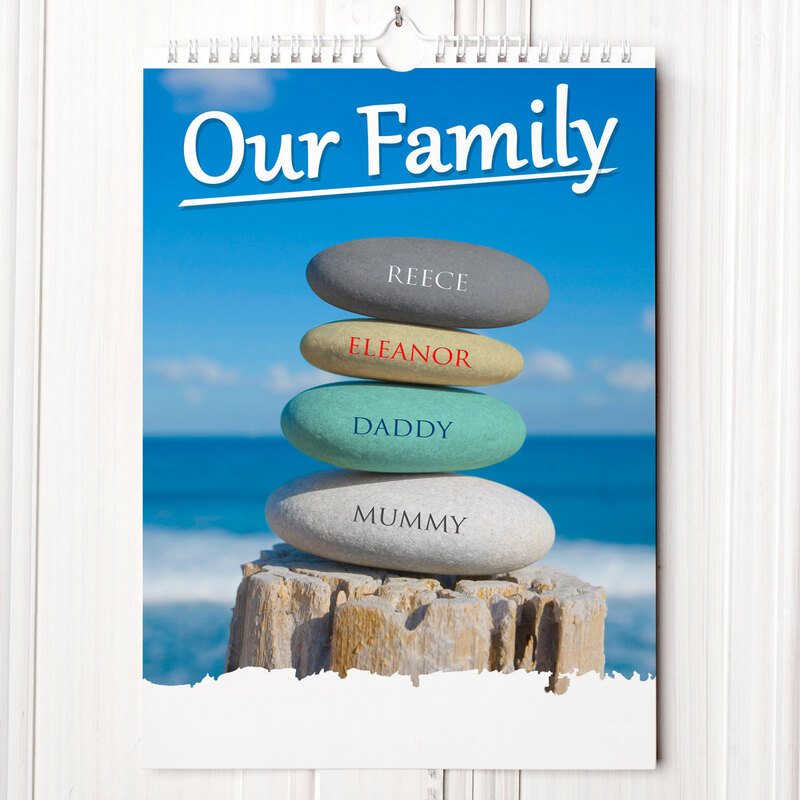 Ideal for any family of 2 to 6 members who are looking for something different, this personalised calendar is guaranteed to last all year long! 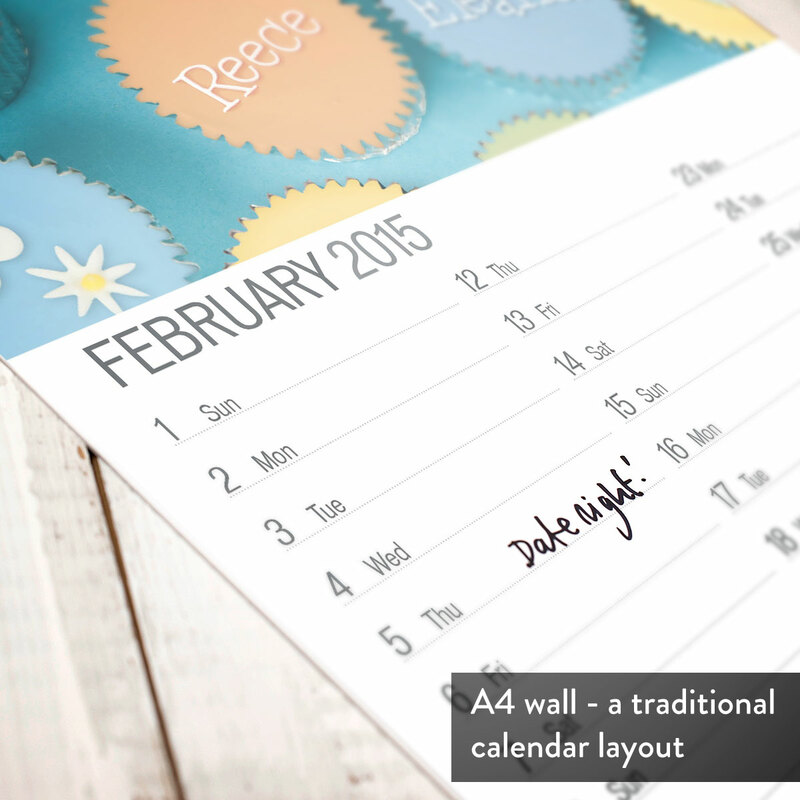 Choose the month you want to start on, choose their names and away you go. 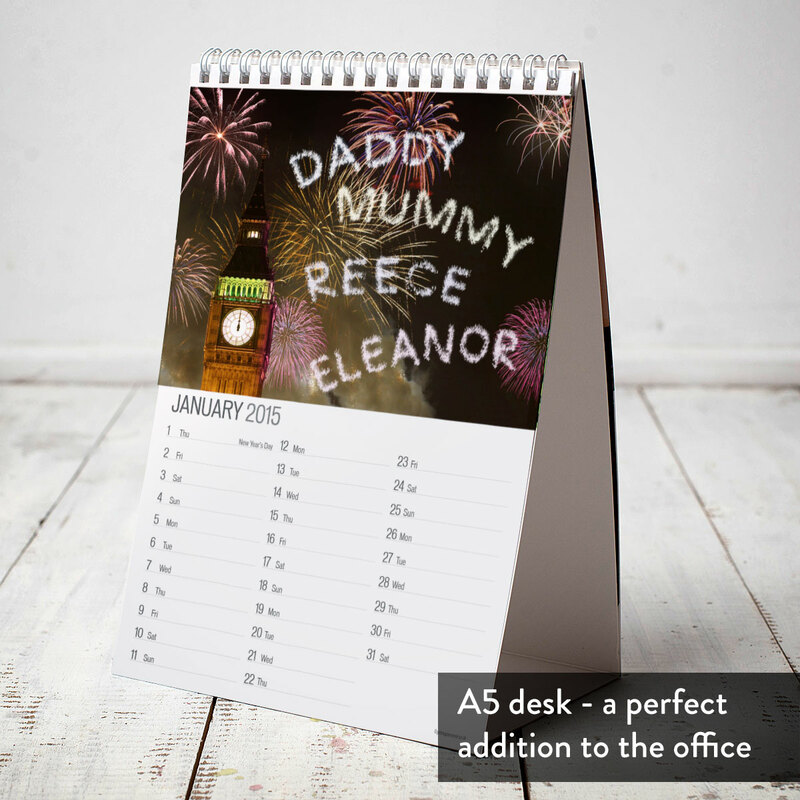 We’ll create a calendar featuring 13 stunning images with their names spelt out in fun and clever ways. 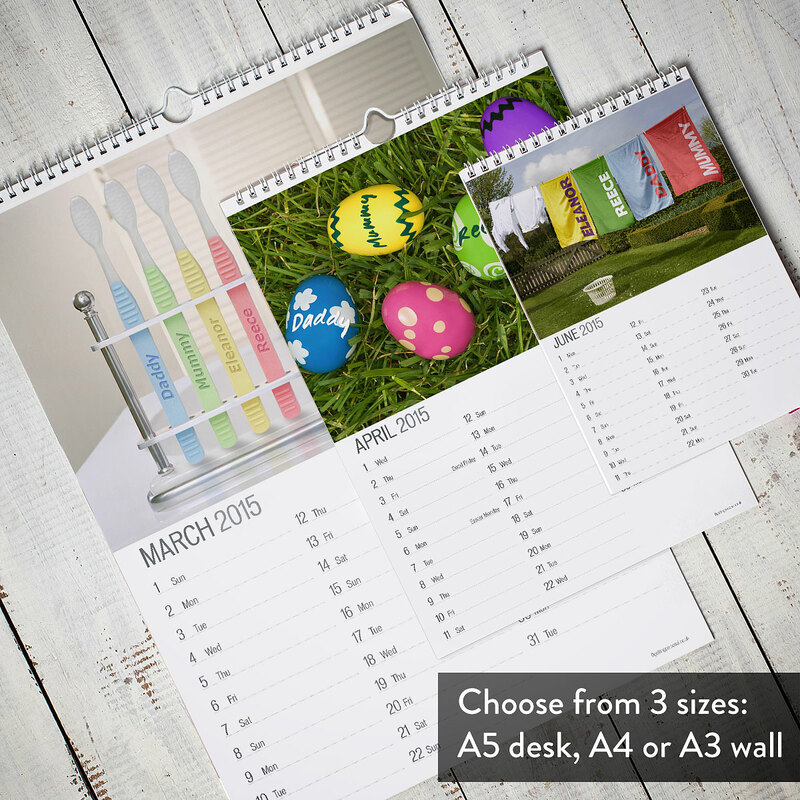 One for each month and an exquisite front cover. 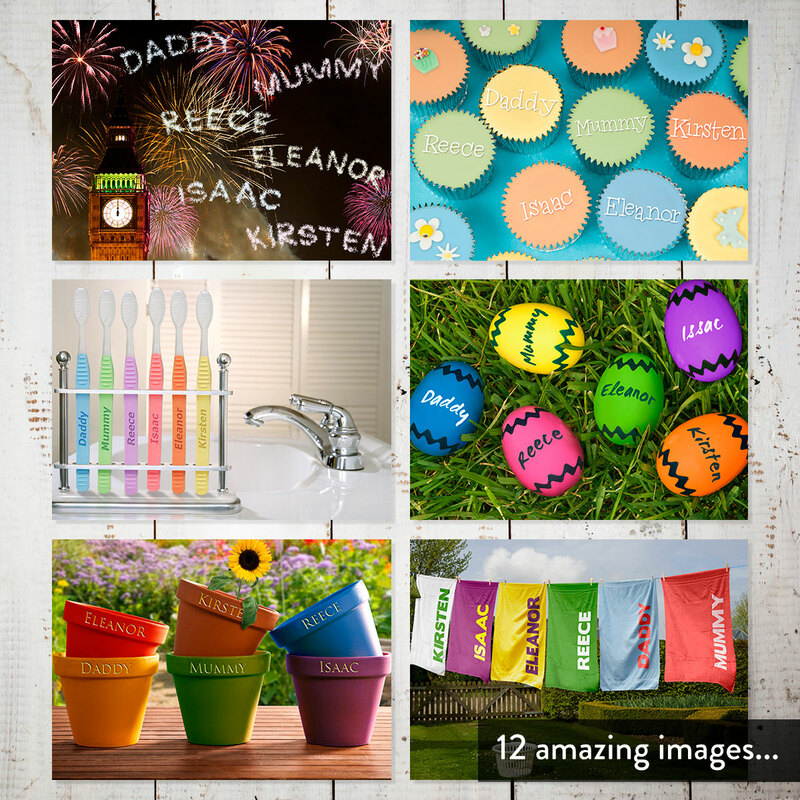 See family members' names stitched onto stockings, iced on cupcakes and even painted across the night sky in fireworks! 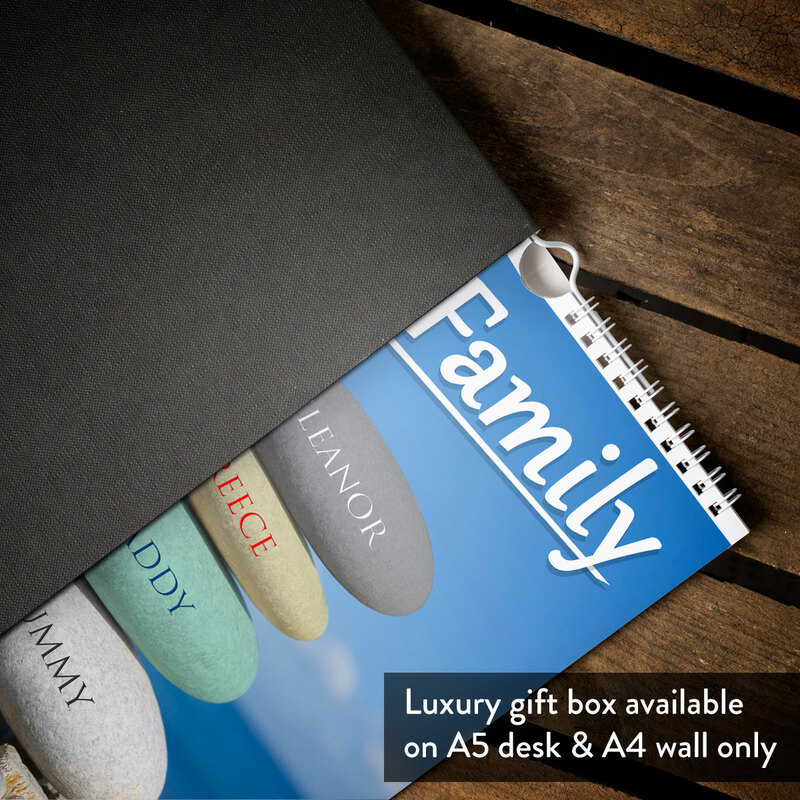 Personalise the calendar with the number of members in your family, and the first name of every member in up to 12 characters each.